Cabinet doors that align correctly but do not close all the way require minor adjustment. Unfortunately, adjusting kitchen cabinet door hinges that don't close completely is largely a trial-and-error process. Some hinges such as European hinges have adjustment capabilities that a standard cabinet hinge does not have. Look for other obvious signs of obstruction before resorting to adjusting the hinges. Paint on a hinge or objects extending slightly past the cabinet frame also prevent the door from closing. Adjusting hinges is sometimes more trial and error than exact science. Open the cabinet door and loosen the two mounting screws securing the hinge to the cabinet with a Phillips screwdriver. Sometimes the cabinet mount comes out of alignment, causing the door to not close fully. 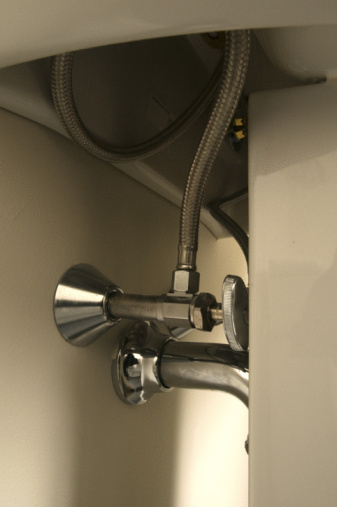 Adjust the cabinet mount so it is flush with the cabinet facing and retighten the screws. Close the cabinet door. Find the in/out screw if you have European or "cup" hinges. The in/out screw is the screw on the center of the cabinet mount pointing to the back of the cabinet. Loosen the screw with the screwdriver and pull the door away from the cabinet slightly. Tighten the screw and close the cabinet door.